Most of us spend many hours per week in our homes, so it’s important to create a space that lends itself to our own unique personalities, while simultaneously allowing us a place to rejuvenate so we can excel in our day to day activities. When we begin a complete home renovation, or even a small makeover, there are different elements that need consideration. Each element of our home’s design clicks together like puzzle pieces to give it an overall feel. 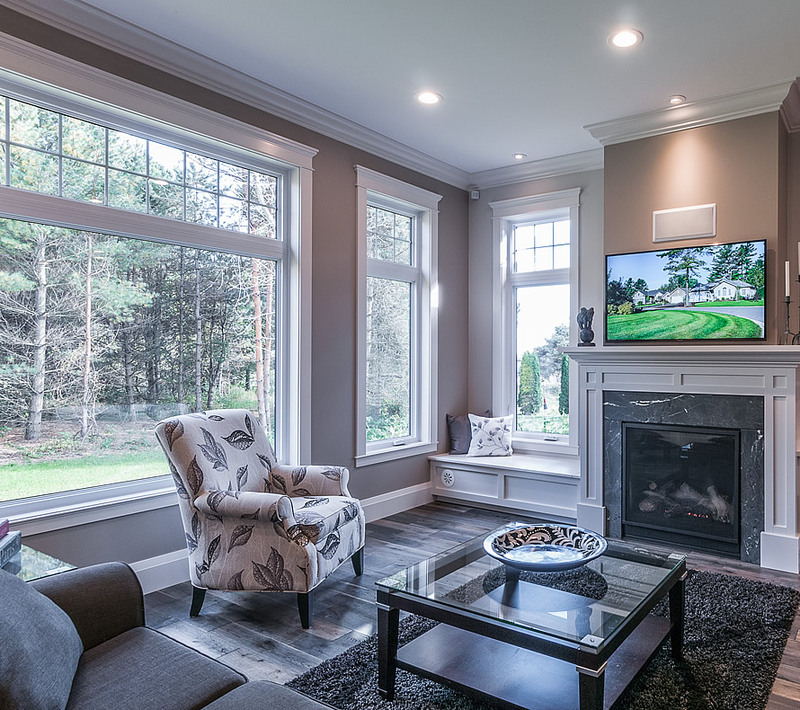 Things like: windows, doors, exterior sidings and finishes, interior wall colours, trims, flooring, furniture and accent pieces. When all of these elements flow together and complement one another, we can begin creating a space we always feel comfort in, and a place we are proud to come home to. Even if you are tackling just one of these projects, it’s important to consider them together and what the end goals are before the renovation begins. Here at Beingessner Home Exteriors, our hope is to guide homeowner’s in the process of their renovations to help achieve their perfect space. 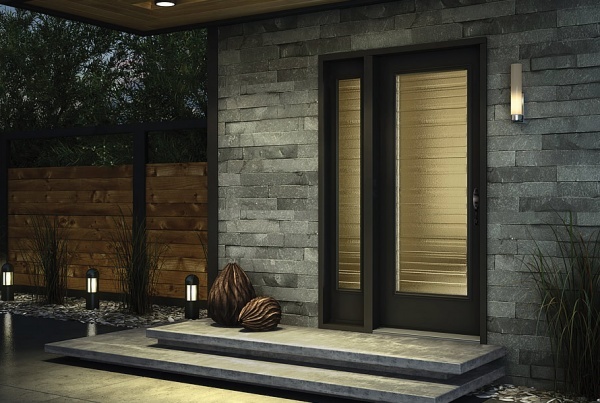 Our beautiful entry door systems, sleek windows, patio doors and extensive siding options, coupled with some smaller touches you can do on your own, can help you achieve that ‘zen-like’ space you look forward to coming home to each day. If you’re interested in some of our tips to creating your perfect space, then please keep reading! When choosing a colour palette for the exterior of your home, a good rule of thumb is to follow the 60-30-10 rule. 60% of your home should be one colour (or one material – IE: brick, a siding product etc. 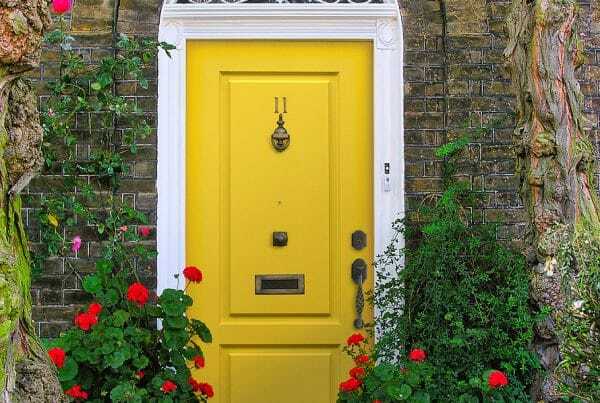 ), 30% should be an accent to the main colour/material (IE: accenting your soffits, fascia, trough in a different colour, or siding in a gable end with a different colour or texture), and 10% should be a “pop” of colour, or statement feature (IE: a bright entrance door, or specialty light fixtures and hardware). Color palette is one of the most important decisions when considering an exterior renovation. 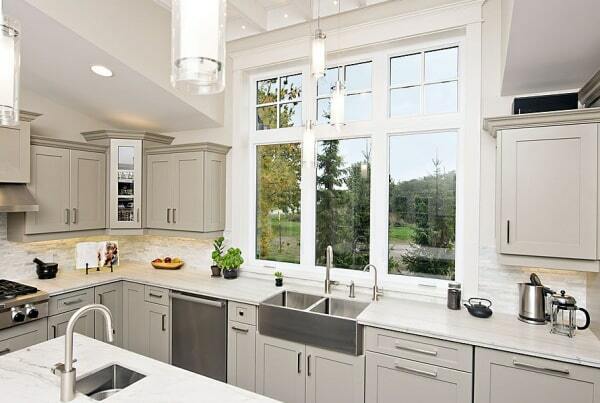 Add brightness to your space with beautiful windows. You can spice up your windows with features like painted interior and exterior finishes, a wide selection of grid options, wood clad interiors, various glass options and more. A beautiful entrance door will not only enhance the exterior of the home, but the interior as well. From single doors to double doors and more, we can help you find the right style of door for your home. Add a decorative door glass design and enjoy a beautiful art piece – the possibilities are limitless. Having some nice furniture pieces to accent your space can go a long way in creating a comfortable living area. Choose items that flow together, with accents here and there of more interesting or colorful pieces. Exterior finishing touches include things like shutters, railings, columns, door hardware, light fixtures and landscaping. Updating some, or all of these items can really make an impact on your home’s overall appearance. If you need some advice on what might look nice on your home, do not hesitate to give us a call! Interior finishing touches include the fun decorative elements such as lighting, beautiful art pieces, accent pillows and throws, and all of those fun things. If your main theme is neutral, changing up these items throughout the seasons can really help keep things fresh and make your space feel new again. Hopefully this post gave you some help or inspiration when thinking about starting your renovation, or even just freshening up your space. If you’re interested in working with us on your exterior projects, our team would be happy to help you! Click here for our contact form. Previous PostWE WERE FEATURED By Gentek Building Products! Next Post60 Years in Business - You Can TRUST Us!